With the recent advances in the transport sector, the extent of fleet management has advanced in a number of ways. The availability of a wide range of solutions leads to improved efficiency in fleet management with in-vehicle tracking, increased safety, reduced maintenance costs, improved customer services and much more. Automated fleet management minimises efforts and maximises productivity, carrying out efficient maintenance and monitoring of assets. With new technologies emerging every now and then, competition grows and demand increases. The traditional modes of fleet management has been replaced with technology for greater efficiency and improved productivity. 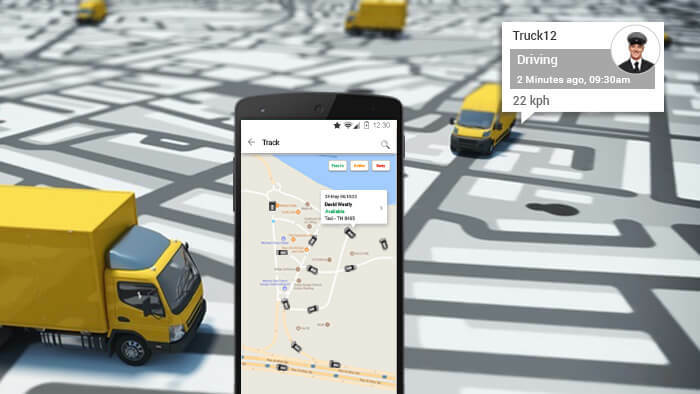 With advanced fleet intelligence that provides real-time data, telematics and vehicle strategies, there is immense potential to manage fleets without complexities. When the safety of riders and drivers is one of the major concerns among fleet managers today, an on-demand software integrated with advanced technologies helps in eliminating safety issues during rides. It gains insights into fleet performance and driver behaviour. With fleet managers able to monitor rides continuously with live video integration, live tracking and route optimization, there are rare chances of lack of compliance by drivers with the safety policy. An advanced fleet management system allows fleet managers to take preventative measures to avoid vehicle damage and loss. Now for every aspect of fleet management including acquisition, disposal, tracking, diagnostics and security, there are operational tools integrated with the application to help improve efficiencies. One of the most important benefits of adopting technology in the on-demand transportation industry is the reduced costs due to lesser idle time and fuel consumption that is possible with real-time data. Technology reduces operational costs which reflect positively on your company’s profit margin. Enabling competitive and real-time services with highly integrated solutions, an on-demand fleet management software paves way for sustained growth with distinctive performance in the competitive market.